You know what’s something that I generally love about Man of Steel? 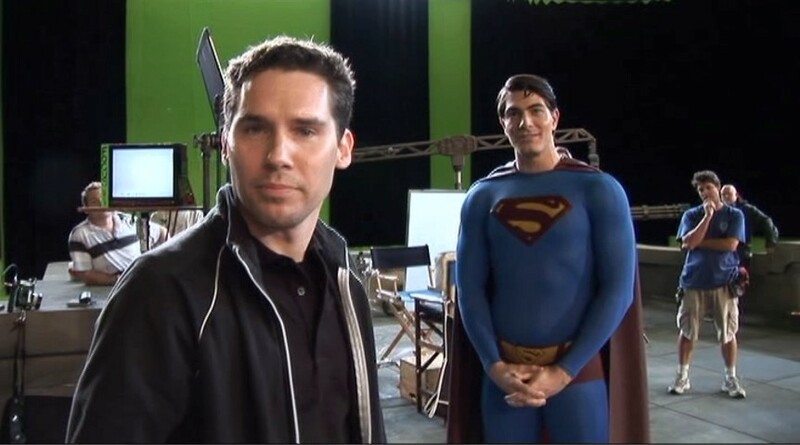 It made me appreciate Bryan Singer’s Superman Returns much more than I did initially. Don’t get me wrong—I still don’t think that’s a very good movie, and has a lot of flaws that overall kept it from being a good film. But at least it has a pulse, and a heart. Man of Steel has none of those things, and since it doesn’t have Kevin Spacey hamming it up, I automatically have to give the win to Superman Returns for this one. But after giving it some though, I’ve come to a realization that I think fits both films—at the end of the day, the big issue with the two film is tone. Man of Steel is too dreary and moody to be a fun Superman movie, and though the reverence and patriotism in Superman Returns certainly matches the character, it doesn’t make for the most entertaining of films. I am in awe of the world building and the scope of that picture. It’s tough for me. I’m not a critic and it starts to get into a weird thing where one director is talking about another director. I know how hard it is to make a movie, especially one of these movies and especially a Superman movie, and there was so much I was impressed with in that movie. There were things I might have done a little differently just because of the way I view the character. Don’t misinterpret that as me not liking something. So he hates Man of Steel then? GOT IT. Half of that I understand and half of it I never will. It was a movie made for a certain kind of audience. Perhaps more of a female audience. It wasn’t what it needed to be, I guess. I think I could lop the first quarter off and start the movie a bit more aggressively and maybe find a way to start the movie with the jet disaster sequence or something. I could have grabbed the audience a little more quickly. I don’t know what would have helped. Probably nothing. If I could go again, I would do an origin. I would reboot it. Well I wouldn’t necessarily agree with his doing an origin thing, it’s nice to see that Singer himself can admit where he went wrong with the film. Pacing was a huge issue, and the film was pretty empty when it came to action for a superhero summer blockbuster. That plane sequence was pretty cool though. Either way, good on Bryan Singer for admitting the faults of Superman Returns, and doing it in a down to earth and casual manner. I have some huge problems with the guy’s recent filmography, but he seems like a rather well put together guy. And hopefully with X-Men: Days of Future Past, some of that good ol’ Bryan Singer greatness can once again come to light. We’ll see in May. Until then, here’s a Sophie’s Choice of mediocrity: Superman Returns, or Man of Steel? Let us know which one you prefer (or hate less) in the comments. The whole movie didn’t feel original, it felt like a parody of the Christopher Reeves superman rathern then something new and modern. Kevin spacey lex luthor meh the fact in the beginning were he shows he made money from inheriting from a old money was stupid and didn’t add to the lex luthor mythos. Superman was corny there was no real emotion from the actor or the script. Superman Returns was a fantastic film. I do not get what was so bad about it. Honestly, I feel like it was not the movie that failed just the audience. He made it for a target audience for Reeve fans like myself, and I totally fell in love with Superman Returns. However, I can understand that today’s film audience are a little more shallow and require Michael Bay level explosions in order to make up for the lack of depth to characters like the one’s in Man of Steel. I love Kate Bosworth, but as Lois Lane?? What were they thinking? Superman has a kid? What???? Kevin Spacey’s take on Lex Luthor was awful. If he played Lex as his character from House of Cards (minus that accent) that would have been way better. I’m sure there’s more I didn’t like but I refused to watch the movie again after seeing it the once almost 8 years ago. They are both awful films. Man of Steel avoided making the same mistakes that Superman Returns made. Instead, it made all NEW awful mistakes. So here’s my choice: neither. Go watch Christopher Reeves in Superman the Movie or Superman II instead. Yup, that pretty much sums it up perfectly. I’d have to go with Superman Returns. The film was riddled with problems – while I enjoyed Brandon Routh’s characterization of Clark Kent, I never could buy off on him as Superman…. Kate Bosworth didn’t fit as Lois Lane…. the gaping plotholes were ridiculous… and let’s not even get into the kid thing. However, Superman did show up for the film, and I thought Kevin Spacey was incredible as a version of Gene Hackman’s character that finally embraced his dark side. That’s my biggest problem with Man of Steel – if it weren’t for the S and the cape, there was no way to tell it was a Superman movie, because the character never appears. I like Henry Cavill a lot, and I think he got down the hero physically, but the writing just wasn’t there. Superman Returns was terribly disappointing. Brandon Routh stinks. And so did the storyline. It was an hour too long and there was about 15 minutes of action. While Superman Returns wasn’t great, I admire and respect what Singer attempted to do with the film and the character. Most people seem to love Man of Steel, but I’m certain that the ONLY reason they do is because it has more action. What i don’t understood is in fact how you’re now not actually much more neatly-liked than you might be right now. You’re so intelligent. You know thus significantly when it comes to this subject, made me for my part believe it from a lot of numerous angles. Its like men and women are not involved unless it is one thing to do with Woman gaga! Your own stuffs great. Always take care of it up! One other thing to point out is that an online business administration training is designed for people to be able to effortlessly proceed to bachelor’s degree education. The 90 credit college degree meets the other bachelor college degree requirements and once you earn the associate of arts in BA online, you’ll have access to the newest technologies within this field. Several reasons why students need to get their associate degree in business is because they can be interested in this area and want to get the general training necessary before jumping to a bachelor diploma program. Thanks for the tips you actually provide in your blog.